Isa ito sa pinaka-memorable moments ko with KC and Toni... ang first time nilang mag-bonding, at underwater pa sa Manila Ocean Park last week. 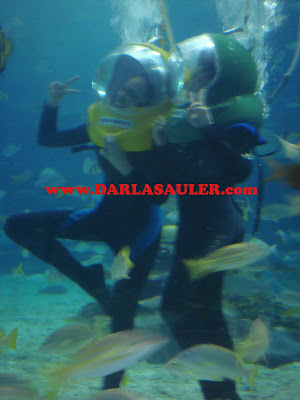 Grabe, super enjoy talaga ang dalawa while enjoying their 15 minutes of being "aquanauts." 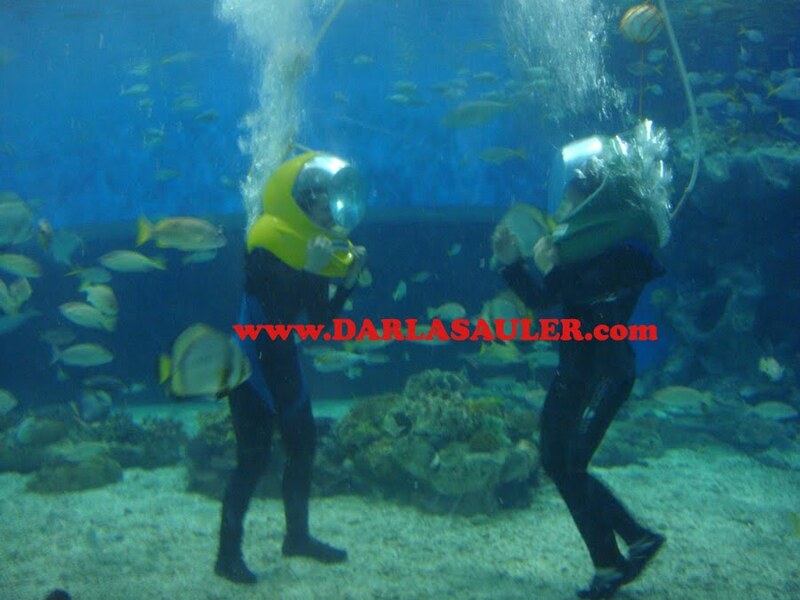 Wala namang kahirap-hirap sa kanila yung diving instructor na kasama nilang sumisid sa giant aquarium dahil both are water-lovers. KC is a diver, and Toni naman is a swimmer. So here, share ko lang ang photos nila nung time na yun. Wow!! galing nilang pareho. I love their tandem. Both smart and nice people. I love KC. GBU.. This was such a unique adventure... so very KC though! Episodes like this make contribute to the uniqueness of the show! Good job! And for the entire team of Simply KC, congratulations for a well thought out show that everyone can relate to. thanks again ms darla for posting at the SASSY thread! I enjoyed watching on TV KC with guest, Toni G. Very clear na they are close to each other in real life. Thank you for posting their photos, Darla. Hope to see more of them. Sana mag sama sama sa near future ang apat na TV hosts na sina KC, Toni, Mariel and Bianca. thank you for ms.darla..i love both KC and Toni sana more bonding moments pa at mag guest ulit siya sa simply kc..supahnotherlevel of friendship! I love KC and I like Toni, soon They going to work in BUZZ ,TONI is replacing Kris,hope KC will join in P.O.V ,.OR MORE EXPOSURE IN THE SHOW.AND MS.Darla hope maguest ni KC si Jovit Baldivino he want her to be his love team.love ko rin si Jovit. When will Simply KC have PJ as guest? Darla, please make a way for this to happen soon. Salamat! Ang galing ng chemistry ng 2 ito, I super love the Monday episode with Toni Tone (is that KC's term of endearment to her BFF?. If before, I watch KC's segment lang sa Buzz this time pag si TOni masisiyahan na ako to watch the whole show. At least wala na ang KSP (sorry po Ms. Darls nagpapakatotoo lan!). For the last 2 weeks I noticed laging gusto naka-dramatic entrance lagi ha!